The Hyatt Culinary Challenge was conceptualized as a unique event that will bring together individuals from the corporate realm on a common platform; where they could showcase their culinary expertise and passion for food in an interactive culinary event. Each participant will be paired with a child from the SMILE foundation, Hyatt’s partner NGO in India and they will execute a recipe of their choice for the judges. The corporate winner from each city will compete at the grand finale in Mumbai in November 2015. Hyatt India Culinary Challenge preliminary rounds will be held across Hyatt Hotels in Ahmedabad, Amritsar, Bangalore, Chennai, Delhi, Goa, Hyderabad, Kolkata, Mumbai and Pune on the 31st October. 01 November 2015, and the finale will be held at Grand Hyatt Mumbai on 15th November 2015. There will also be an exciting digital version of the Culinary Challenge in each of the tem cities where one participant shall be selected to participate in the preliminary round. 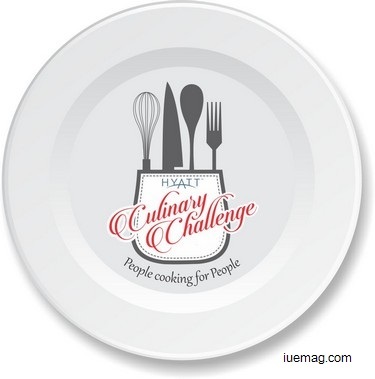 Follow the latest updates on #CookWithHyatt and visit http://www.hyattrestaurants.com/index.php/culinary-challenge/ for more details.